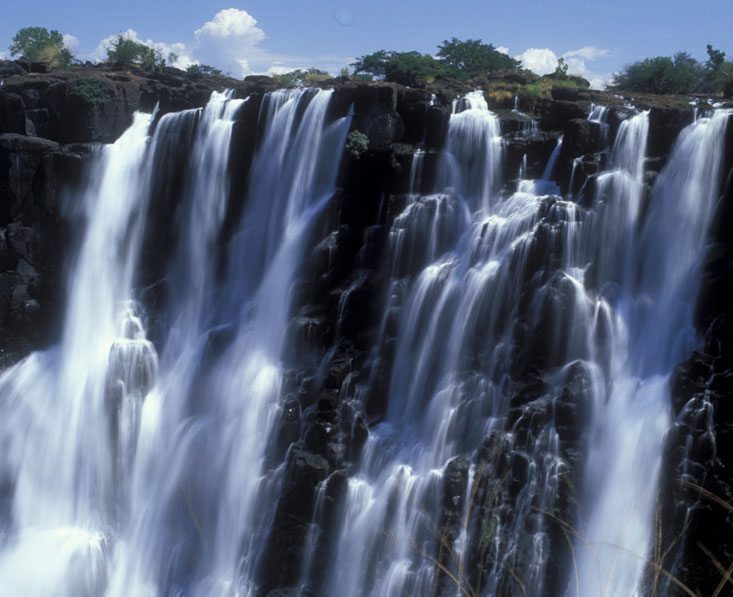 Days 2-3 You have two full days to explore and enjoy the variety of activities for which Victoria Falls is famous. It’s safe to say it has something for everyone, from falls walks that will leave you soaked in spray, to exciting helicopter flights, from an island picnic to a fishing trip. For something a little different you can join a staff member for a walk in the local village and a chance to meet children and adults and find out about their lives. 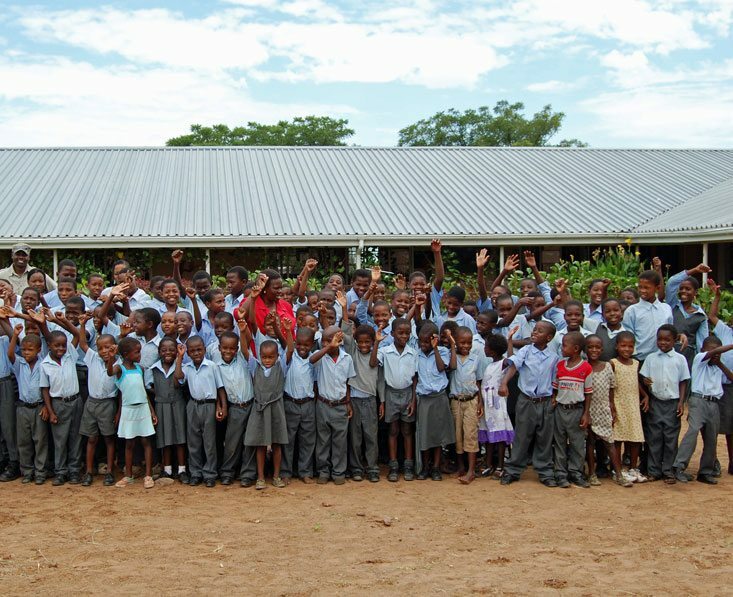 A visit to the school funded by a 2013 Comic Relief project, is a lovely idea if it’s open, and a warm welcome is assured. Day 5 The thrills continue today. 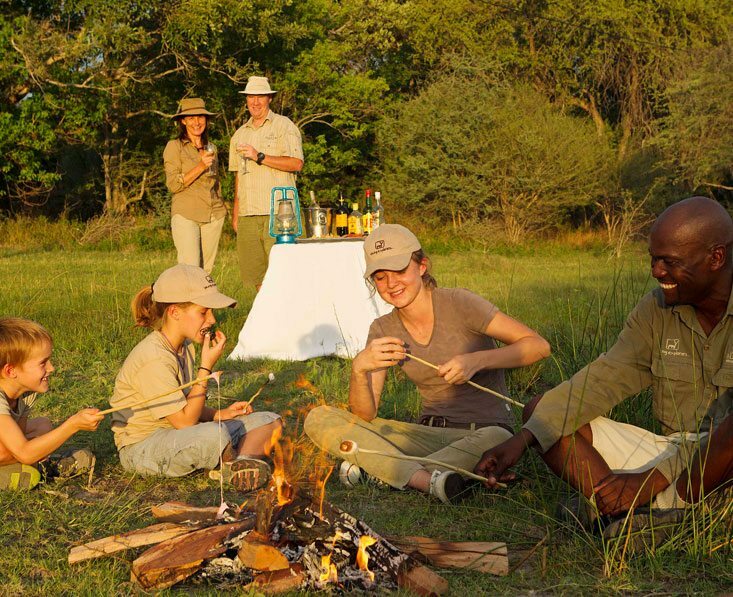 The choice of activities is excellent, especially for families, and you’ll find yourselves enjoying not only game drives, but also boating on the river and visiting local villages and meeting the families of the Sibuya tribe. Of course you can just relax by the pool and let the staff look after you – this is a holiday after all! 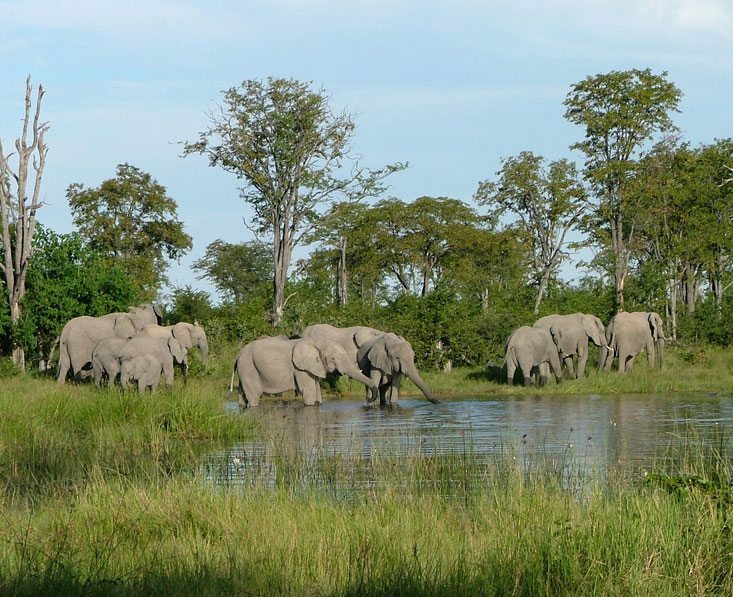 Days 7-8 Game drives allow you to explore the diverse range of habitats within the reserve with spectacular game viewing year round. 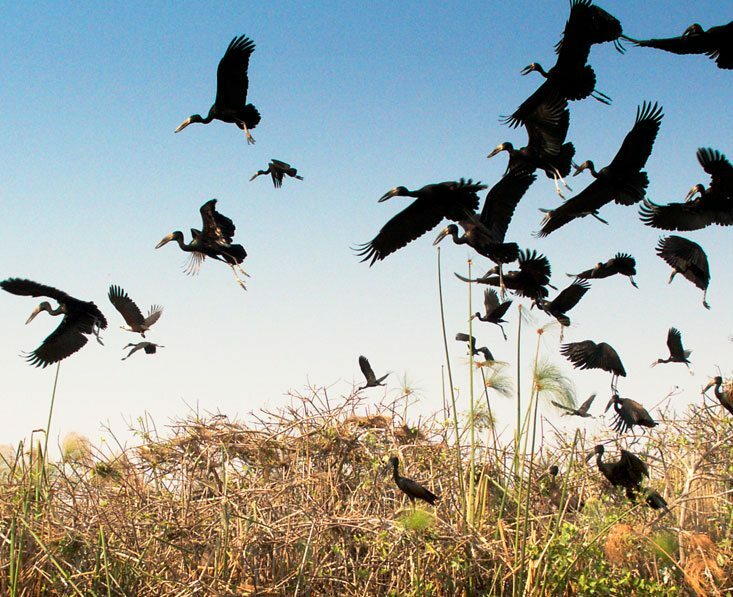 The sheer numbers of game make this an ideal location for first time safari goers, with no shortage of sightings. 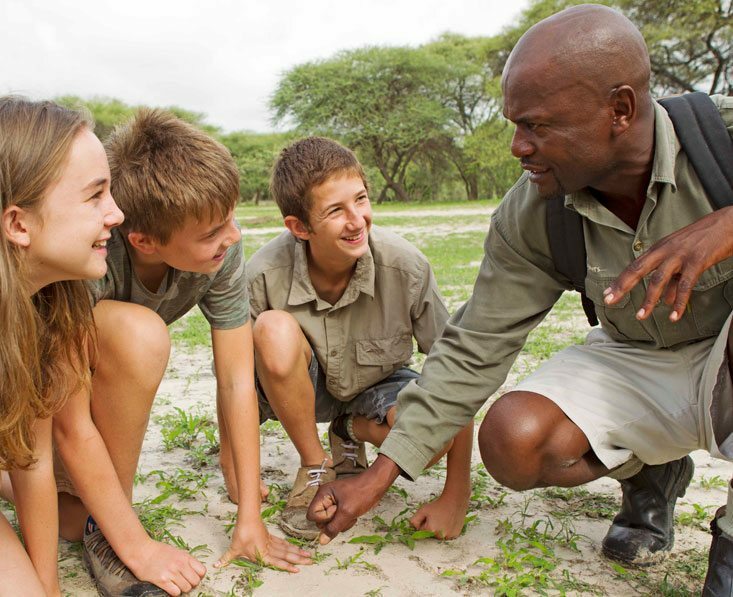 Children will be awed and enthralled, completely under the spell of the natural world. 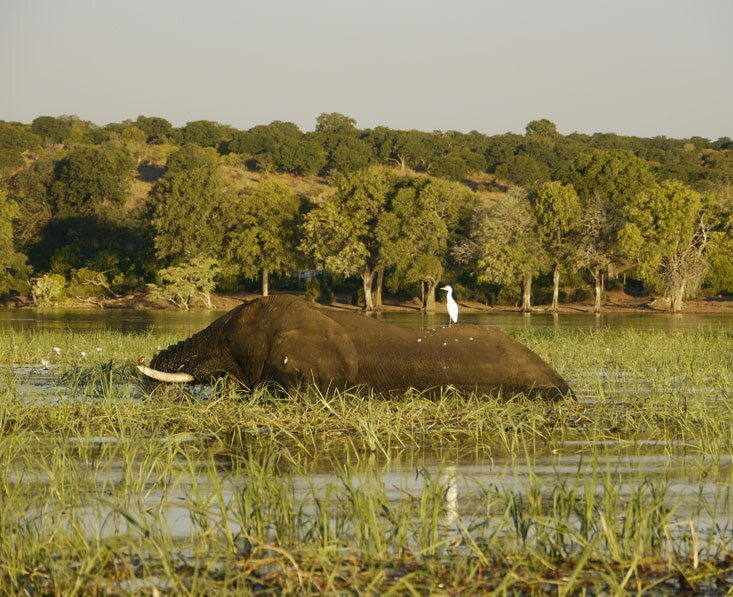 You can also venture out onto the open waters of the Okavango by motorboat which is a more relaxed way to enjoy the animal and bird life and get some superb photos. After your final morning activity (time permitting) and breakfast it’s time to pack your bags and bid farewell to the camp staff as you’re homeward bound. 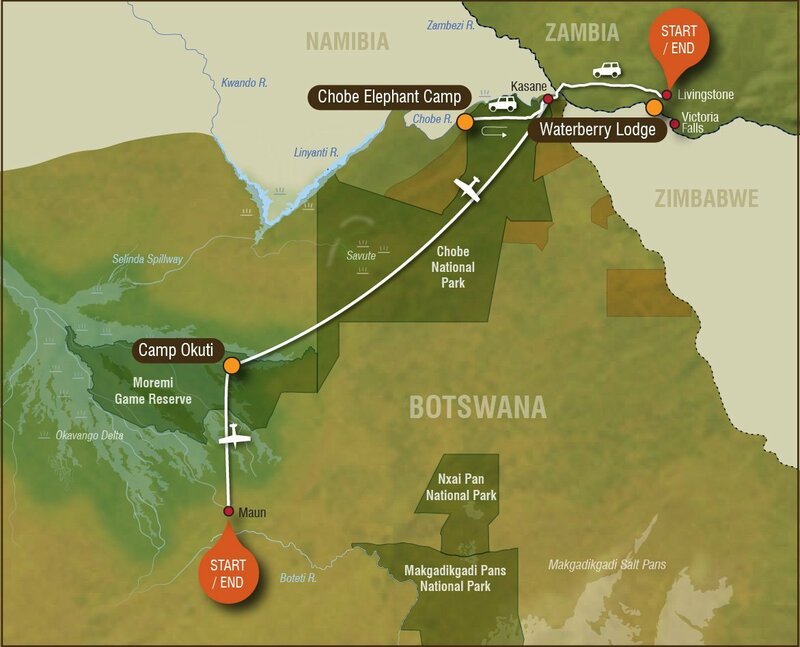 You’ll fly to Maun and your onward travel arrangements. This trip starts in Victoria Falls and ends in Maun. From the UK, we recommend getting a flight with a combination of British Airways, Air Botswana and/or South African Airways via Johannesburg. A rough price guide per person would be £900 – £1400 in economy depending on the season. 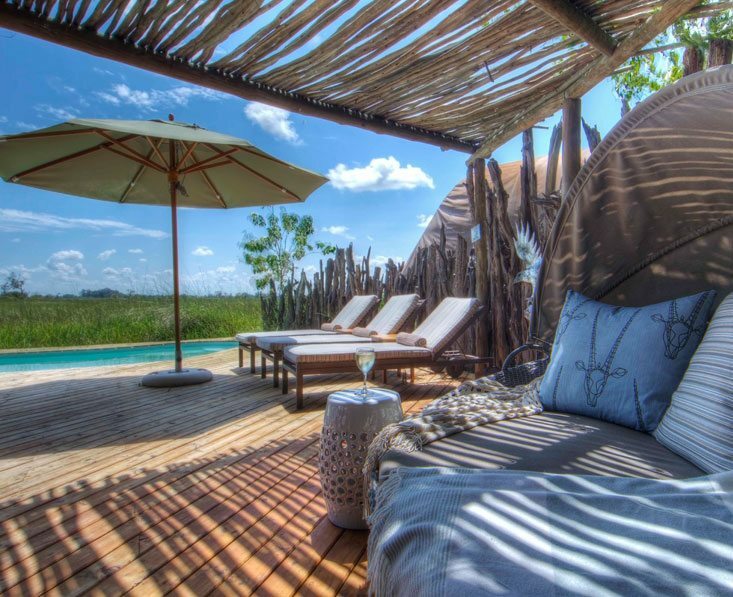 This is a private tailor made fly-in safari which we can arrange for you at any time you like from march to October, subject to availability. We can change this trip in any way, from duration to places and lodges. This will of course affect the price. This holiday can be done in the reverse direction. Rates based on 2 adults and 2 children (7-12) travelling together and divided by 4. This holiday can be operated for 2 people on request with rates from £3380 pp. 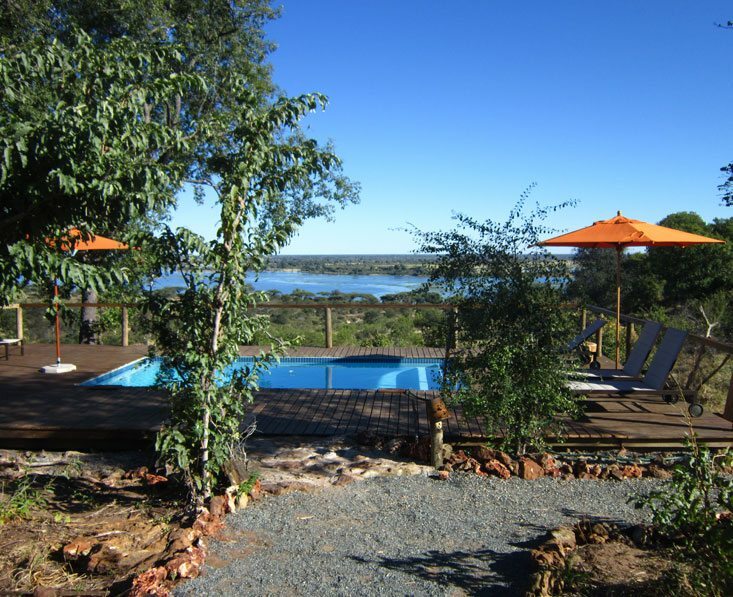 Accommodation, meals, local drinks on safari, road and light aircraft transfers, daily activities on safari, child discounts, and park and concession fees. 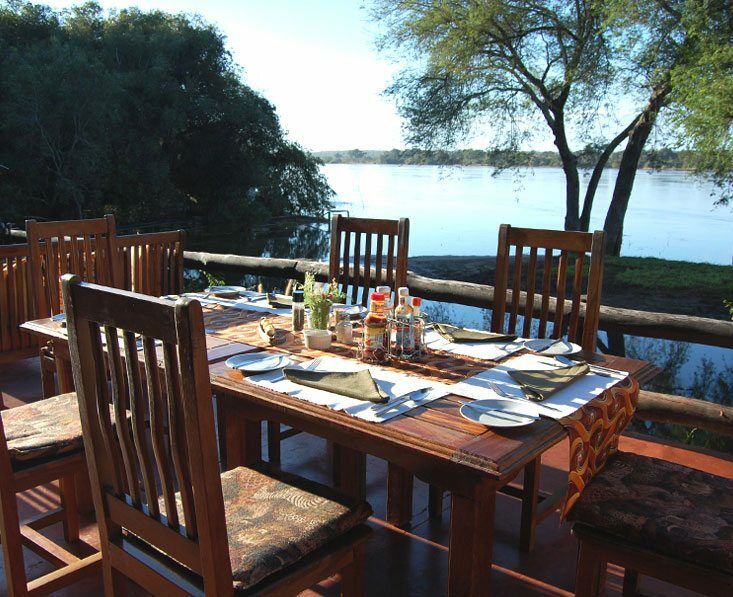 Visas, international flights, vaccinations, drinks, lunches & dinners at the falls, premium drinks on safari, optional activities, travel insurance, personal expenses. International flights from roughly £1200 pp.